Cooking is not as easy as it seems. Although, there are many people around the world that enjoy and make use of their cooking skills and talent to make better recipes that they find. While cooking can be challenging but there are many tools that you can use to simplify the process and cut short your cooking process. Pressure cookers have remained one of the popular kitchen appliances that can ease your job especially when you want to get your cooking job done in short time. One of the reasons why every household today prefers to have a pressure cooker is because it saves time, money and effort. The bottom of the pressure cooking is very much like the heavy-duty pot that you find in the stores so your pressure cooker is almost similar to the cooking utensils that you find anywhere else in the market. So, when you are planning to cook your food in the pressure cooker you can start by adding the ingredients like cooking oil, if that is one of the items that you need to add. Once you have done that you can let the pressure cooker heat up a bit and then you can start adding other ingredients that are required for the recipe. Make sure that you gradually put all the ingredients in the pressure cooker before you decide to close the lid and let it cook. When you are using a pressure cooker, you need to make sure that you are fastening the lid of the pressure cooker in the right way or things might go wrong. 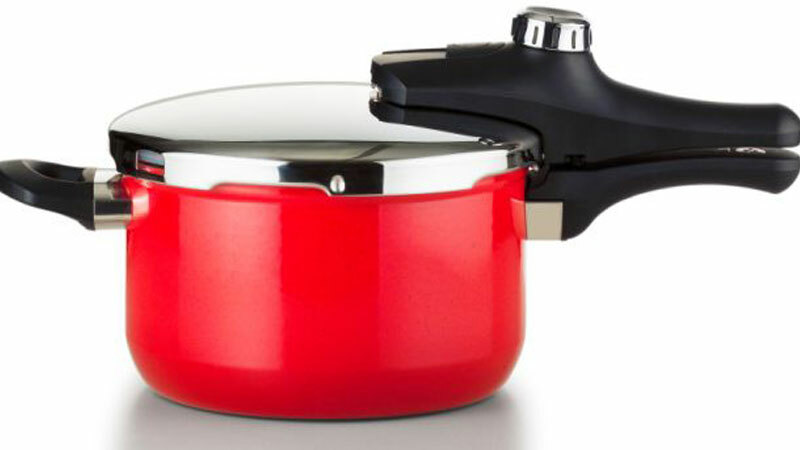 In most pressure cookers you need to fasten the lid usually by mounting it at an angle from the handle and then rotating the lid towards the handle of the pressure cooker which locks the pressure cooker correctly. You also need to make sure that the lid of the pressure cooker has a gasket that forms an airtight seal to ensure that no heat escapes the pressure cooker and the food is cooked in the right way. Pressure cookers can cook your food faster than conventional cooking utensils and therefore you need to make sure that you don’t overcook your meal. If you are using a recipe you need to ensure that the recipe has the information on how long you need to cook your meal in the pressure cooker. This will help you to time the cooking process and get better results rather than overcooking the meal. If the recipe does not mention how long you need to cook it then you can look out for any other similar recipes and get an estimate cooking time period. When you are done with cooking your meal, you need to lower the pressure inside the cooker through natural methods and then open the pressure cooker and remove the meal that you have cooked. Reducing the pressure before opening the pressure cooker will make things easier for you to open up the pressure cooker.